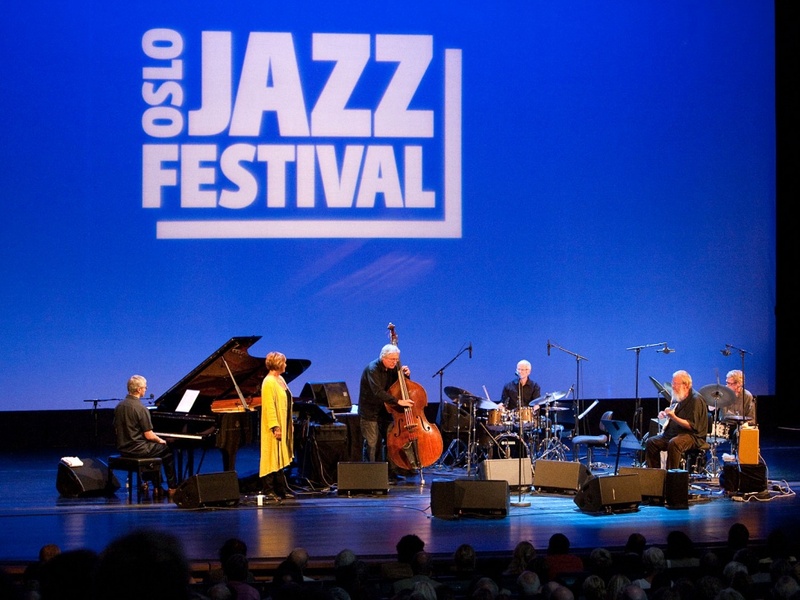 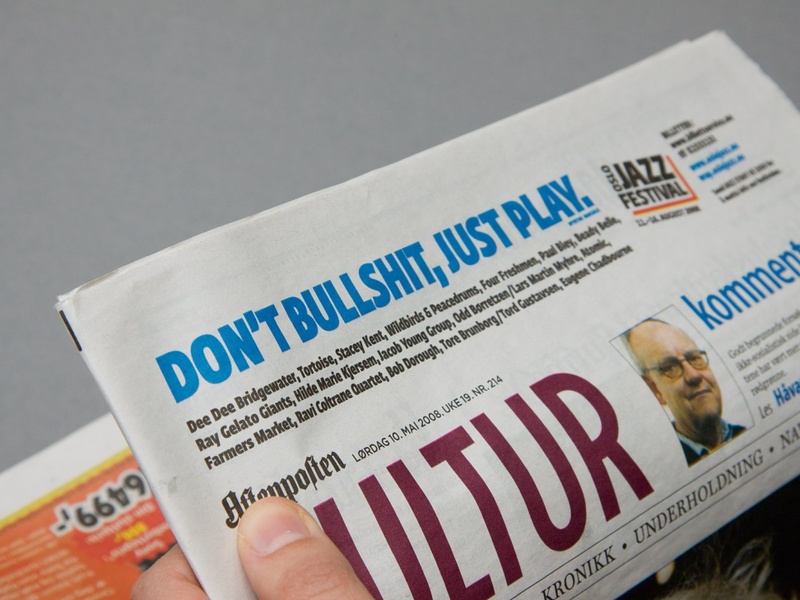 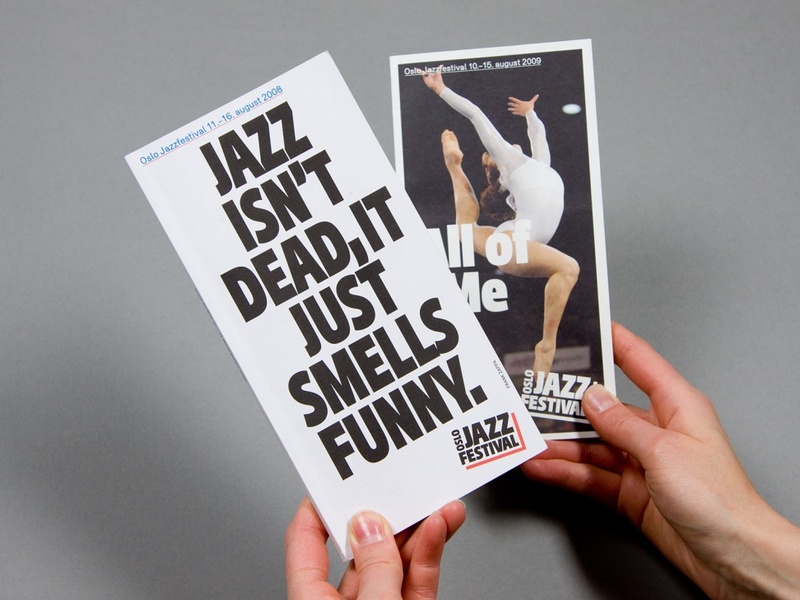 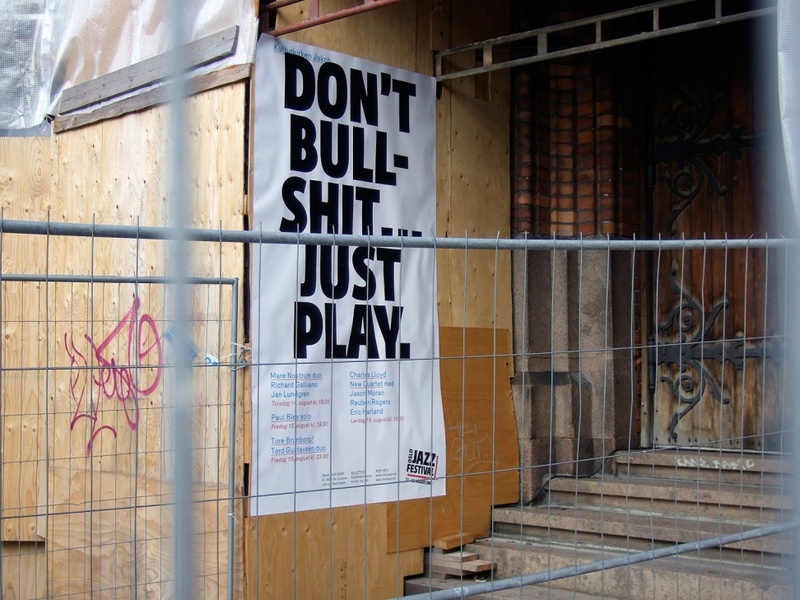 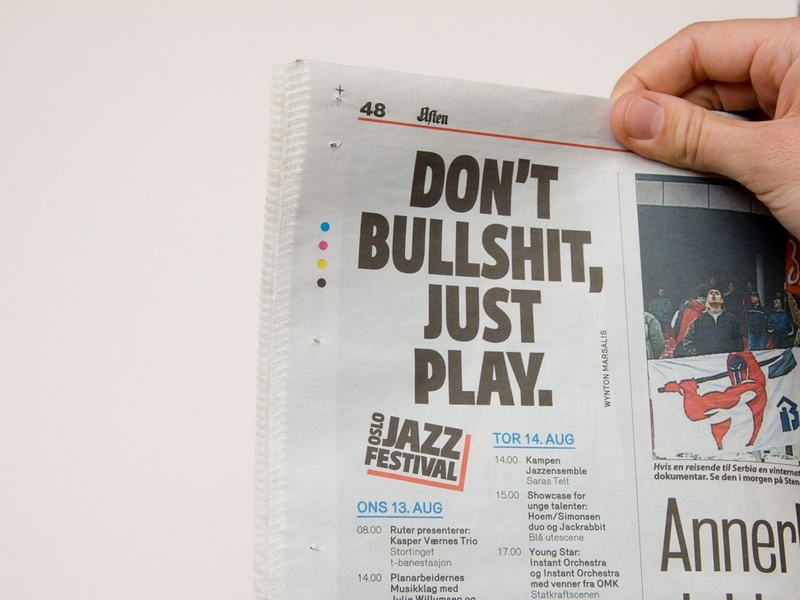 2008 marked the first year we worked with the Oslo Jazz Festival. 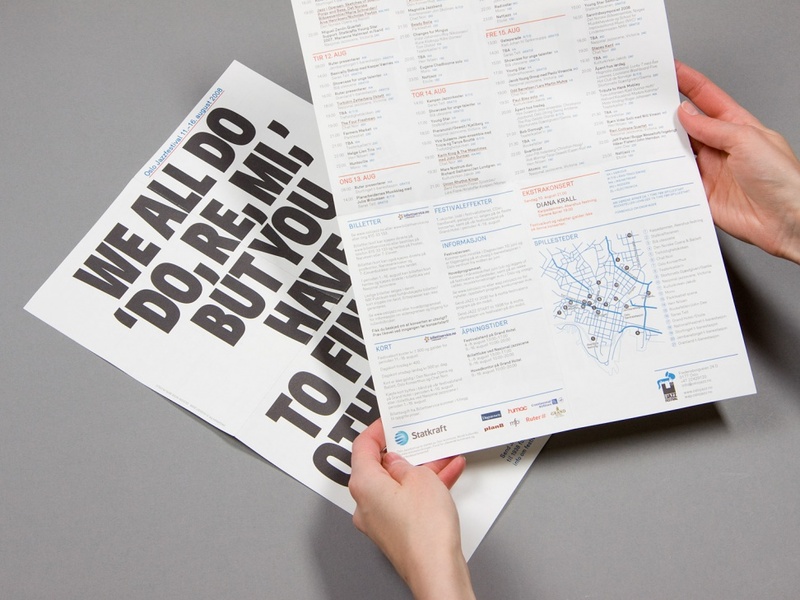 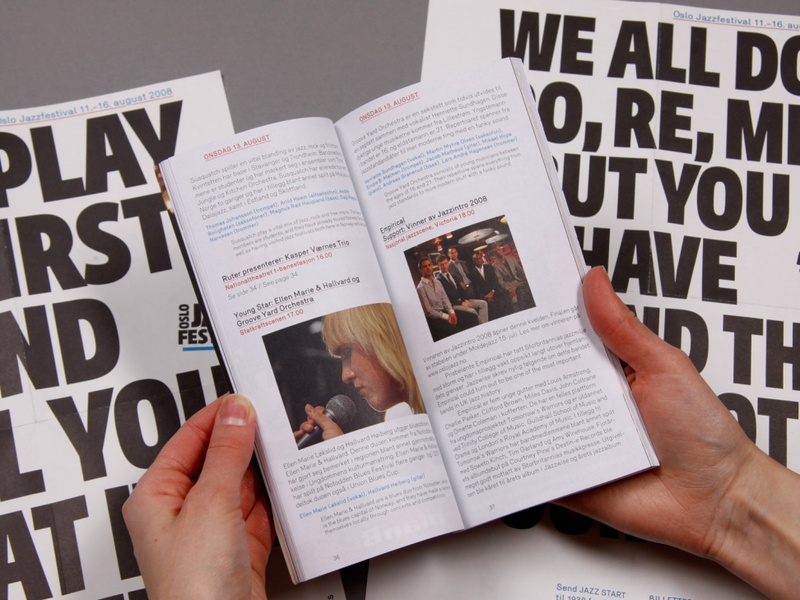 In contrast to their previous designs, we decided to use only typography. 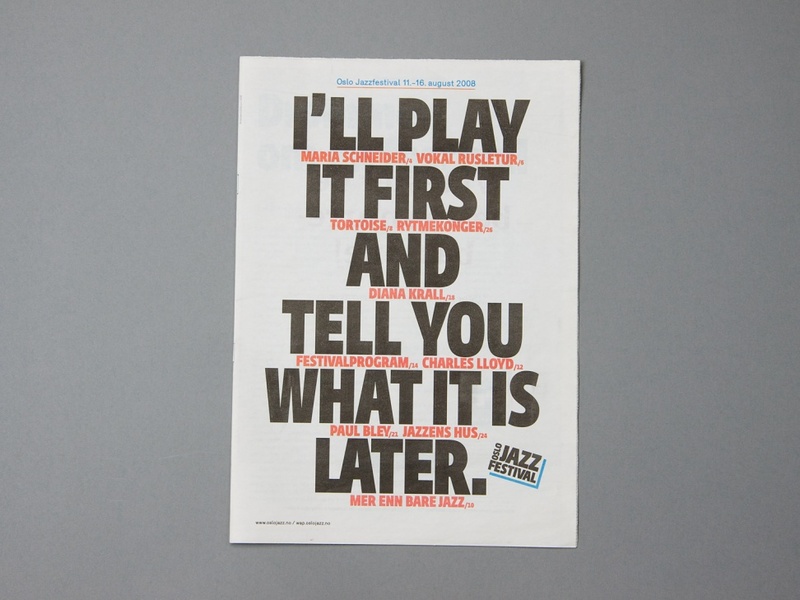 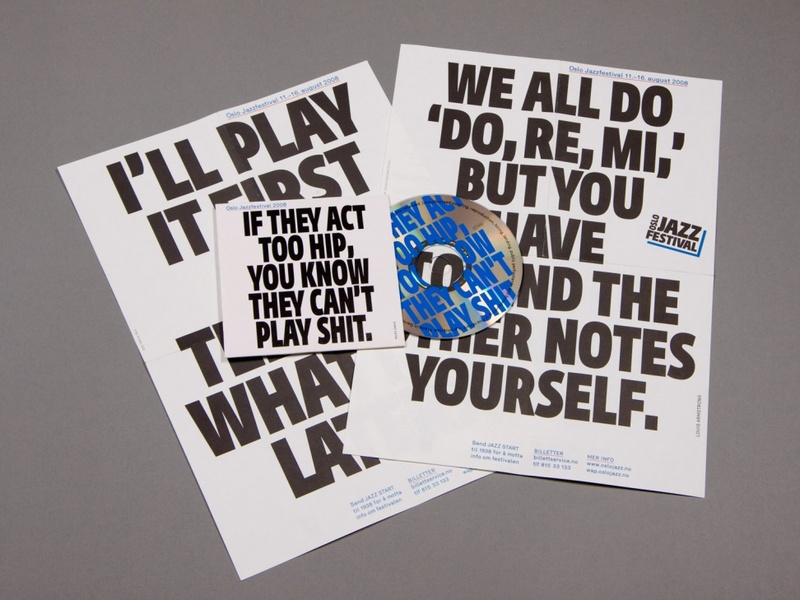 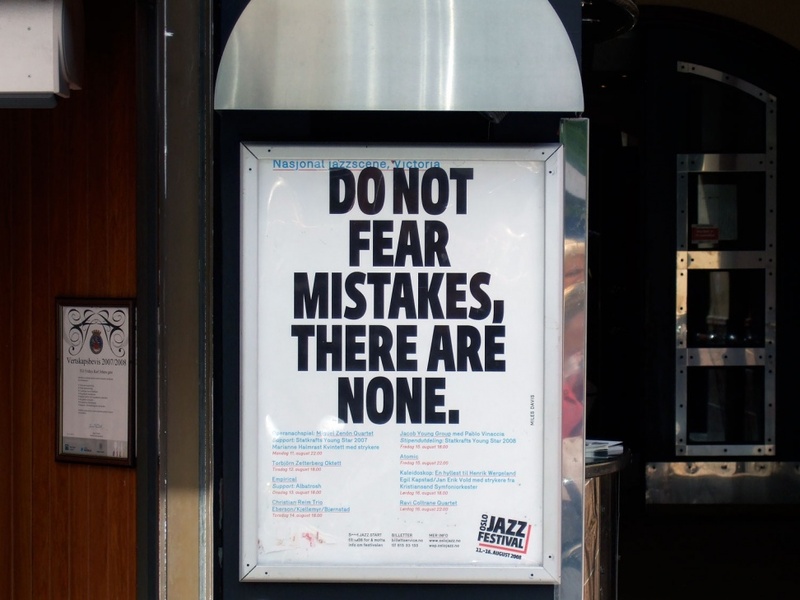 The texts used were a series of quotes by jazz legends.